The Gospel According to Torah: It Happened at Shavuot! This article has been reproduced and adapted from the book Messianic Spring Holiday Helper, edited by Margaret Huey. As we approach the End of the Age, many people are being restored back to the Hebraic roots of the faith. It is an exciting time to watch, as scales fall off of the eyes of many brothers and sisters in the Lord, as Jewish people come to faith in Messiah Yeshua, and non-Jewish Believers embrace a return to the First Century ways of the early Believers! People are returning to the ancient paths! People are starting to fully walk the way Yeshua walked! “Remember the Sabbath day, to keep it holy. Six days you shall labor and do all your work, but the seventh day is a Sabbath of the Lord your God; in it you shall not do any work, you or your son or your daughter, your male or your female servant or your cattle or your sojourner who stays with you. For in six days the Lord made the heavens and the earth, the sea and all that is in them, and rested on the seventh day; therefore the Lord blessed the Sabbath day and made it holy” (Exodus 20:8-10). “For Moses [meaning, the first 5 books of the Bible called the Torah] from ancient generations has in every city those who preach him, since he is read in the synagogues every Sabbath” (Acts 15:21). “These are the appointed times of the Lord, holy convocations which you shall proclaim at the time appointed for them” (Leviticus 23:4-5, 6-44). Moses goes on to teach about Passover, Unleavened Bread, the Feast of Weeks/Pentecost, the Feast of Trumpets, the Day of Atonement, and the Feast of Tabernacles. “But that we write to them that they abstain from things polluted by idols and from fornication and from meats strangled and from blood” (Acts 15:20). But What About Having the Testimony of Yeshua? I have just mentioned some of the different ways in which we are now actively keeping the commandments of God as never before, as we are striving to live like the First Century believers—but what about having the testimony of Yeshua? Obeying God must be joined by knowing that we have been redeemed by the work of His Son. Let us look at what happened to Peter and the other Apostles on that first Shavuot fifty days after the resurrection of Yeshua—and only ten days after He had ascended into Heaven! “And when the day of Pentecost had come, they were all together in one place. And suddenly there came from heaven a noise like a violent wind, and it filled the whole house where they were sitting. And there appeared to them tongues as of fire distributing themselves, and they rested on each of them. And they were all filled with the Holy Spirit and began to speak with other tongues, as the Spirit was giving them utterance. Now there were Jews living in Jerusalem, devout men, from every nation under heaven. And when this sound occurred, the multitude came together, and were bewildered, because they were each hearing them speak in his own language” (Acts 2:1-6). “Men of Israel, listen to these words: Yeshua the Nazarene, a man attested to you by God with miracles and wonders and signs which God performed through Him in your midst, just as you yourselves know” (Acts 2:22). “Now when they heard this, they were pierced to the heart, and said to Peter, and the rest of the apostles. ‘Brethren, what shall we do?’ And Peter said to them, ‘Repent, and let each of you be baptized in the name of Messiah Yeshua for the forgiveness of sins; and you shall receive the gift of the Holy Spirit. For the promise is for you and your children, and for all who are far off, as many as the Lord our God shall call to Himself’” (Acts 2:37-39). “And day by day continuing with one mind in the temple, and breaking bread from house to house, they were taking their meals together with gladness and sincerity of heart, praising God, and having favor with all the people. And the Lord was adding to their number day by day those who were being saved” (Acts 2:46-47). “Repent therefore and return, that your sins may be blotted out, in order that seasons of refreshing may come from the presence of the Lord; and that He may send Yeshua, the Messiah appointed for you, whom Heaven must receive until the time of restoration of all things, about which God spoke by the mouth of His holy prophets from antiquity” (Acts 3:19-21). So, as part of this end-time move of the Lord today, while Believers are being restored back to the things of the First Century, and we learn to be a mixed assembly of Jewish and non-Jewish Believers in Yeshua—we have to be both keeping the commandments of God and sharing the testimony of Yeshua that we possess. It is the testimony of Yeshua and truly being born again ourselves, and then the sharing of this gospel from Scripture, as Peter did, that we need to really emphasize! This is because whenever a wonderful move of God is at hand, the enemy always works overtime to see who he can deceive and devour. How much more so should we be on guard now, during this amazing time of restoration, when the Father is drawing people into a Messianic walk of faith from very diverse backgrounds? “[A]nd with all the deceivableness of unrighteousness in them that perish, because they received not the love of the truth, that they might be saved. And for this cause God shall send them strong delusion, that they should believe a lie” (2 Thessalonians 2:10-12). Here is the question of this age: How can a person, who is coming back to the Hebraic roots of the faith and being obedient to God’s commandments, ever be swept away by the end-time strong delusion that appears to be for only the unrighteous people who are perishing? Could such a person be practicing a form of righteous living, yet really be unrighteous? Remember that on that day of Shavuot or Pentecost, those who heard Peter preach were people who followed the commandments—yet they were “pierced to the heart”—and said to Peter and the other Apostles, “Brethren, what shall we do?” Peter knew that they had been convicted about their sinful hearts, and that they had been pierced, so he was then able to tell them to repent! Those gathered at Shavuot were “cut” (RSV, NIV) or “pierced to the heart” (NASB). Richmond Lattimore’s translation renders it as “they were stricken to the heart.” The verb used by Luke to describe this deep emotion is katanussomai (κατανυσσομαι), meaning to “be pierced, stabbed fig., of the feeling of sharp pain connected w. anxiety, remorse” (BDAG). It is interesting to note that this verb is used in the Septuagint, in Genesis 34:7, to describe the intense pain of the Shechemites after they had circumcised themselves. Is not then this “pierced heart” the same as the circumcision of the heart that is required at the new birth? How Can a Person be Unrighteous Who is Practicing Righteous Living? The answer is very simple and yet so profound that it usually escapes even the most serious so-called “Believers.” The answer is simply that “they received not the love of the truth, that they might be saved” (2 Thessalonians 2:10, KJV). Might be saved? Isn’t that easy? Don’t you just ask Yeshua or Jesus into your heart because you believe He is the Messiah? Those present with Peter at Shavuot found out that it was a heart issue. To find the answer to the question, we must determine what the “love of the truth” is. It is simply, yet profoundly, receiving the Divine agapē love that the Father uses by His Holy Spirit to bring us to the point of desiring, above all else, to find out the truth concerning ourselves so that we can repent and be saved.We have to earnestly, with our whole hearts, come to the point of being broken before a holy and righteous God to such a degreethat we finally realize that nothing we can do in or by ourselves will ever make us righteous. Our heart has to be pierced! We have to recognize that we, although made in the image of God, have also inherited the nature of our fallen ancestor, Adam. We have to come to the point of realizing just how much of a sinner we are! “Truly, truly, I say to you, unless one is born again he cannot see the kingdom of God…Are you the teacher of Israel and do not understand these things?” (John 3:3, 10). What is the key ingredient that so many of us overlook? We have to truly understand why we need to be saved! We have to have truly come to terms with the hard fact that we are sinners and that we deserve to be forever separated from God. We have to come to the realization that we do not have the power to even see the Kingdom of God in our natural, unregenerated state. We have to come to terms with the fact that we could keep the commandments of the Torah perfectly, but still miss something. “I tell you, no, but unless you repent, you will all likewise perish” (Luke 13:3). “I tell you that in the same way, there will be more joy in heaven over one sinner who repents than over ninety-nine righteous persons who need no repentance” (Luke 15:7). “Then He opened their minds to understand the Scriptures, and He said to them, ‘Thus it is written, that the Messiah would suffer and rise again from the dead the third day, and that repentance for forgiveness of sins would be proclaimed in His name to all the nations, beginning from Jerusalem’” (Luke 24:45-47). “For the sorrow that is according to the will of God produces repentance without regret, leading to salvation; but the sorrow of the world produces death” (2 Corinthians 7:10). “This is the blood of the covenant which God has commanded you…and according to the Law, one may almost say, all things are cleansed with blood, and without shedding of blood there is no forgiveness” (Hebrews 9:20, 22). We have to have died to our pride, our independence, our self-justification, our self-righteousness, or self-esteem—in essence, we have to have died to ourselves. In the fallen state of people, God Himself moves on them through the words in His Torah and brings to their mind and soul that they are sinners and not keeping the commandments out of cleansed hearts, if at all. He moves them to be real with themselves and admit that they have fallen far from His glory. It is the sorrow that He works in them that allows them to be real with themselves and want to repent with their whole hearts. The sorrow that is from the world is that which makes us sorry that we were caught doing something; it does not cause us to really want to change and turn—to repent. This worldly sorrow will only led to our spiritual death in the long run. We will never be saved if we only have worldly sorrow. I was raised in a fairly typical American Christian home in the 1950s and 1960s. I went to Church and Sunday School on Sunday. I sang in the Church Youth Choir from the ages of 10 through 17. I was active in the Youth Group in high school, even being its president for two years. I believed Jesus (Yeshua) was the Messiah. I believed everything that I had been taught about Him that was contained in the Apostles’ Creed that we repeated every Sunday. I had asked Him into my heart at a young age. I had even said “the sinner’s prayer.” Good Heavens, my grandfather was even a minister! Yet I was completely and hopelessly lost. I was perishing. I was not born again—and I didn’t even know it. I, myself, was under the strong delusion! I was under the delusion that I did not have to deal with being a sinner, specifically. I was too young to do that when I had been led in the sinner’s prayer. I was under the delusion that I could believe in Jesus, but not have to repent. I was under the delusion that as a young child I could make a “decision” that dealt with sin, yet I was too young to understand what sin was. I stayed in this state of delusion until I was 30 years old. You see, as a child I knew the difference between right and wrong, and good and bad, for I had inherited that trait from my ancestor Adam when he ate from the Tree of the Knowledge of Good and Evil. In fact, I was a very good child! I was very careful to do all that I was told, but I did not have a handle on what sin was. Because knowing that you are a sinner with a black sinful heart, especially when you are a “good person,” really does not happen until you leave your childhood years. It is then when we arrive at the time that we go from childhood to young adulthood that our black heart starts to get exposed to ourselves. Rebellion is the first area where sin usually manifests itself, because it so often just stays in the heart and grows in the darkness of it. We no longer really wish to please our parents or our teachers as we did when we were younger. We want to experience life for ourselves and try the things that we know are “bad.” We, who still appear outwardly “good,” are now hiding secret sins of rebellion, lust and covetousness, even though we may know better than to actually act upon these new desires. We know we shouldn’t be thinking these things, but we can’t help ourselves. So there I was, lost in my sin, yet being deceived myself that I was “okay.” Yet I knew that I had lost my childhood innocence. Deep in my sinner’s heart, I knew I was not saved! My heart had not been pierced! I can remember, as a teenager, reading 1 Corinthians 13 over and over again hoping that I would somehow get peace. You may recognize that chapter. It is the one that goes on and on about love, but I did not have the foggiest idea what point Paul was trying to make. You see, he was sharing about that agapē love that only can be understood by one who has been supernaturally changed from above, and has the Holy Spirit resident inside. I would never read Psalm 100 in the same way. That is the wonderful Psalm of thanksgiving to the Lord. I even had it memorized, yet I did not really feel thankful to Him. I would read the “red words” of Yeshua from my Bible, hoping that I would feel like I did as a child again. I knew instinctively that I wasn’t clean, yet the Christians around me told me I was a fine Christian girl. I am sorry to report that I stayed in such a dreadful state of delusion until I turned 30 years of age. My problem was that, even though I knew I was a sinner, I could not admit it to God. I did not want the relationship with Him that would make me so transparent that I would have to come to the end of Margaret. I did not want Him first in my life, because I was first. “I am the Lord your God, who brought you out of the land of Egypt, out of the house of slavery. Your shall have no other gods before Me” (Exodus 20:2-3). I was devastated with the reality of this sinner called Margaret who had never truly understood who her God was! All I wanted was to disparately get right with Him! I fell on my face before God and cried out for mercy. I finally realized why I was separated from Him. I didn’t know Him and I didn’t love Him, even though I thought I knew and believed everything about Him. I got real about Margaret with the God of Israel. I confessed and repented of every secret sin I could think of. My heart was finally pierced. I begged Him to cover me with the blood of Yeshua. And finally and miraculously, I knew I had gotten through to my Heavenly Father after all of those years of knowing that we were estranged. His overwhelming presence was felt all over me in such a supernatural way that I would no longer question if I were forgiven or not. I knew I was forgiven, cleansed, and restored back to God. I was filled with such love for Him and my brethren that I didn’t know existed. I was never to be the same again. I finally understood what grace was. I was finally born again! The love chapter in 1 Corinthians now made sense! “The mystery which has been hidden from the past ages and generations, but has now been manifested to His saints, to whom God willed to make known what is the riches of the glory of this mystery among the Gentiles, which is Messiah in you, the hope of glory” (Colossians 1:26-27). How do we not fall under the “strong delusion”? So how do we make sure that we do not fall under the “strong delusion” that God Himself will send to those who did not receive the love of the truth that they might be saved? That even though they think they serve Him, their pride and egos give them away. We go to Him and make sure that we truly have put Him first in our lives—and we get honest about ourselves and our sins! If we are truly born again and walking in the power of His Holy Spirit, than the deception at the End of the Age will not overpower us. We will not believe the lies that will come from the antimessiah and his system. We will thank the Father daily for choosing us to be part of His end-time restoration of all things. We will cling to Yeshua the Messiah and His atonement for our sins—the good news of the Gospel. “[A]nd with all the deceivableness of unrighteousness in them that perish, because they received not the love of the truth, that they might be saved. And for this cause God shall send them strong delusion, that they should believe a lie…But we should always give thanks to God for you, brethren beloved by the Lord, because God has chosen you from the beginning for salvation through sanctification by the Spirit and faith in the truth. It was for this He called you through our gospel, that you may gain the glory of our Lord Yeshua the Messiah” (2 Thessalonians 2:10-12, 13-14). “Let us draw near with a sincere heart in full assurance of faith, having our hearts sprinkled clean from an evil conscience and our bodies washed with pure water. Let us hold fast the confession of our hope without wavering, for He who promised is faithful; and let us consider how to stimulate one another to love and good deeds, not forsaking our own assembling together, as is the habit of some, but encouraging one another, and all the more, as you see the day drawing near” (Hebrews 10:22-25). “For if we go on sinning willfully after receiving the knowledge of the truth, there no longer remains a sacrifice for sins, but a certain terrifying expectation of judgment and the fury of a fire which will consume the adversaries” (Hebrews 10:26-27). So, are we to fall under the strong delusion that God Himself sends in the end-times, because we really have not received salvation and its truth? Are we so often consumed with sharing the Messianic lifestyle, that we have forgotten to share the saving faith that can come only through the Messiah Himself? Or are we to walk in the assurance of our salvation, because we love the truth and have repented Biblically of our sins? And in so doing, are we now sharing faithfully the gospel of salvation through the commandments that we now keep as Messianic Believers? Let us be those people who “keep the commandments of God and have the testimony of Yeshua” (Revelation 12:17; 14:12). And let us share both of these critical truths with others. These are the signs of the true end-time Messianic Believer. This is the gospel according to Torah! It is truly good news that can change your life! For more information, consult the Messianic Sabbath Helper by TNN Press. For more information, consult the chapter “What Happened at the Jerusalem Council?” in Torah In the Balance, Volume I by J.K. McKee. For more information, consult the article “To Eat or Not to Eat?” by J.K. McKee. What does Galatians 3:24-25 really mean? What does Galatians 3:24-25 mean that we are no longer under a schoolmaster (guardian, paidagogos)? This article has been reproduced and adapted from the paperback edition of J.K. McKee’s book The New Testament Validates Torah. Question: How can you say that the Law of Moses is still to be followed by Christians today, when it is quite clear that we are no longer under a tutor? McKnight is correct when he informs us that the majority view held among Galatians commentators is that Galatians 3:24 is to be read from the temporal perspective of the Torah being valid “until Christ came” (RSV/NRSV/ESV). Only by reviewing Galatians 3:22-25 in total can we really evaluate whether an individual’s common experience in coming to faith in Yeshua or the condition of the Jewish people prior to the arrival of Yeshua is most textually compatible. “But the Scripture has shut up everyone under sin, so that the promise by faith in Yeshua the Messiah [or, the faithfulness of Yeshua the Messiah] might be given to those who believe. But before faith came, we were kept in custody under the law, being shut up to the faith which was later to be revealed” (Galatians 3:22-23). The negative problem that sin has caused has affected “all men” (NASB) or “the whole world” (NIV), ta panta (τὰ πάντα). People committing sin, and rejecting the Creator God and His ways, is by no means an exclusive First Century Jewish problem; it is a universal problem to all humanity (Romans 3:23). Bruce is correct to conclude, “As Gentiles and Jews are ‘confined under sin’ in v. 22, so Gentiles and Jews alike are ‘confined under law’ [in v. 23].” All people are to be regarded as being “under sin” (hupo hamartian, ὑπὸ ἁμαρτίαν) and “under law” (hupo nomon, ὑπὸ νόμον). The verb to describe this condition is sugkleiō (συγκλείω), “to confine to specific limits, confine, imprison” (BDAG), regarding how “we were confined under the law” (RSV) or “imprisoned and guarded under the law” (NRSV). All that Scripture (the Torah and the Prophets) can do for people is lay out God’s standard of holiness, righteousness, and proper conduct—yet because of the common mortal proclivity to disobey Him—the most that Scripture can really do is lock us up as prisoners. At this point, though, many interpreters—in spite of how “the scripture has all men ‘imprisoned’ under the power of sin” (Galatians 3:22, Phillips New Testament)—opt for the continuing “we” statement made by Paul to regard only his fellow Jews, and not to all of his audience. So, when Paul says “before faith came, we were kept in custody under the law, being shut up to the faith which was later to be revealed” (Galatians 3:23), such confinement was considered only a Jewish issue. The clause eis tēn mellousan pistin apokalupthēnai (εἰς τὴν μέλλουσαν πίστιν ἀποκαλυφθῆναι), “to the faith about to be revealed” (YLT), is thought to be taken with a temporal force, with the proposition eis (εἰς) to be viewed “to denote a certain point or limit of time” (LS), hence the common rendering “until faith should be revealed” (RSV). The faith in view is undoubtedly the belief or trust to be placed in Yeshua and His redemptive work; being “confined under the law” (RSV), though, is thought to only be a Jewish issue, with the Messiah’s arrival now abolishing Moses’ Teaching. Alternatively, if Galatians 3:23 is approached from an individualistic perspective, the statement “before faith came, we were kept in custody under the law, being shut up to the faith which was later to be revealed,” regards the status of all people who were once condemned by God’s Torah as sinners, locked up in some kind of condemnation state before salvation. We should agree with Hegg, who says “it seems most natural to understand the phrase ‘before the faith came’ to mean ‘before personal faith comes to those God saves.’” Only when people are able to recognize the significance of Yeshua’s faithfulness to die as a permanent sacrifice for human sin, this reality of faith having arrived to them, can they then be shown the great revelation of how faith in the Savior is to significantly transform them and allow them to enter into the Father’s destiny for their lives. This is something that the Apostle Paul did not want his Galatian audience to forget: what it took to get them to truly arrive at the significant faith in the Lord that they possess. “For I am not ashamed of the gospel, for it is the power of God for salvation [to salvation, YLT; eis sōtērian, eivj swthri,an] to everyone who believes, to the Jew first and also to the Greek. For in it the righteousness of God is revealed from faith to faith [apokaluptetai ek pisteōs eis pistin, ἀποκαλύπτεται ἐκ πίστεως εἰς πίστιν]…” (Romans 1:16-17a). A proper view of Galatians 3:23 recognizes that: (1) saving faith is to manifest itself in the life of a Believer, (2) because of such faith one is freed from the imprisoning condemnation of sin and being “under law,” and (3) this results in being revealed a greater significance of faith as growth in Messiah begins. “Therefore the Law has become our tutor to lead us to Messiah, so that we may be justified by faith” (Galatians 3:24, NASU). What was a “paidagogos” (Grk. παιδαγωγός; schoolmaster, guardian, tutor) in the ancient world? Much of how we look at Galatians 3:24 is influenced by how we look at the role of the paidagōgos (παιδαγωγός), which is invariably translated as “tutor” (NASU), “custodian” (RSV/CJB), “child-conductor” (YLT), “guardian” (HCSB), or “schoolmaster” (KJV), comparable to our English word “pedagogue.” Many examiners are in rightful agreement that “tutor” is not the best rendering for paidagōgos, as there is something specific to be understood from this term in antiquity. In Galatians 3:24, we actually see Paul using a classical Greek term to express a Jewish concept. The paidagōgos was “Orig. ‘boy-leader’, the man, usu. [ally] a slave…whose duty it was to conduct a boy or youth…to and from school and to superintend his conduct gener. ; he was not a ‘teacher’…When the young man became of age, the π[αιδαγωγός] was no longer needed” (BDAG). In a classical sense, the paidagōgos was a protector who was to guard young boys on their way to school until they reached a certain age. This “disciplinarian” (NRSV) or “guardian” (ESV) would try to instill within them a basic sense of who a responsible citizen was, until they arrived at a point when they were old enough to take care of themselves. Within much of the ancient period, the paidagōgos had a widescale reputation for strictness. Betz indicates, “The figure of the pedagogue is looked upon as a hard but necessary instrument in bringing a person to achieve and realize virtue.” So here, the Torah is not that much more than a merciless taskmaster that has to beat proper behavior into someone. Witherington is more tempered, remarking that this point of view “is much too one-sided. There were both bad and good pedagogues and the latter were not rarer exceptions to a rule.” Paul is certainly not expecting his Galatian audience to apply all of the possible negative traits of a classical paidagōgos into his usage in Galatians 3:24. “Therefore set your desire on my words; long for them, and you will be instructed [paideuō]…Therefore be instructed [paideuō] by my words, and you will profit” (Wisdom 6:11, 25). “If you are willing, my son, you will be taught [paideuō], and if you apply yourself you will become clever” (Sirach 6:32). The Law has become our tutor “to lead us to Christ” or “until Christ Came”? Therefore the Law has become our tutor…to Messiah, so that we may be justified by faith (Galatians 3:24). You, however, continue in the things you have learned and become convinced of, knowing from whom you have learned them, and that from childhood you have known the sacred writings which are able to give you the wisdom that leads to salvation through faith which is in Messiah Yeshua. All Scripture is inspired by God and profitable for teaching, for reproof, for correction, for training in righteousness (2 Timothy 3:14-16). The Apostle Paul lauded Timothy for how he was raised by his mother and grandmother (2 Timothy 1:5) in the Tanach Scriptures, which are Holy Texts to be employed for paideian tēn en dikaiosunē (παιδείαν τὴν ἐν δικαιοσύνῃ), “training in righteousness” (2 Timothy 3:16). The Torah and Tanach are going to train people in ways of righteousness, whether they are redeemed or unredeemed, and for the latter such training will undeniably involve chastisement. The Torah, Prophets, and Writings are going to always reveal a person’s innate need for a Divine Redeemer—One whom the Father has provided in His Son Yeshua (Jesus). Paul quite keenly says of the Tanach Scriptures, that they are “able to make you wise to salvation through belief in Messiah Yeshua” (my translation), eis sōtērian dia pisteōs tēs en Christō Iēsou (εἰς σωτηρίαν διὰ πίστεως τῆς ἐν Χριστῷ Ἰησοῦ). In 2 Timothy 3:15, the preposition eis involves Timothy’s training in the Tanach leading to his salvation. There is no reason at all why the clause eis Christon (εἰς Χριστόν) cannot be viewed as “to Christ.” It is true that a version like the NASU has added some words in italics with “the Law has become our tutor to lead us to Christ” and the NKJV has the similar “the law was our tutor to bring us to Christ.” These words are justifiably added to recognize the appropriate preparatory role of the pedagogue: eis Christon, “to Christ”—which is comparable to eis sōtērian, “to salvation.” In Galatians 3:24 the perfect verb gegonen (γέγονεν) is used, indicating that the role of the Torah as pedagogue, while something done in the past, still has an ongoing effect for born again Believers. The Torah having once served a pedagogue for the redeemed—a strict disciplinarian for those who have now arrived at faith in Yeshua—does not allow for people to dispense with its instructions. When Matthew 1:21 informs Bible readers, “Now all this took place to fulfill [gegonen] what was spoken by the Lord through the prophet,” are we expected to throw away and ignore the Messianic prophecies now that they have been fulfilled via the Incarnation of Yeshua? Or are we to understand them in a new light? While some might want to argue against the view that the Torah is to serve as an individual’s pedagogue—concluding that the “we” Paul is speaking of in Galatians 3:24 is just “we Jews”—the Torah did indeed play a role in the non-Jewish Galatians’ own salvation experience. Paul’s visit to Southern Galatia in Acts chs. 13-14 reveals that he certainly taught about Yeshua from the Torah and Prophets to more than just Jews, observing that He provided a forgiveness from sins and freedom that the Torah could not provide (Acts 13:38-39, 43). In various sectors of today’s Messianic movement, Galatians 3:24 has been viewed from the perspective of a young man or young woman being prepared for bar/bat mitzvah. In Judaism, boys and girls are taught the commandments of the Torah from their infancy. The commandments are rigorously instilled in them so that by the time they reach puberty, usually by the age of 12 or 13, one who goes through his bar/bat mitzvah recognizes that he is accountable for being a member of the Jewish community. While it is now traditional to hold festivities and parties for bar/bat mitzvah, the First Century historian Josephus recorded, “when I was a child, and about fourteen years of age, I was commended by all for the love I had to learning; on which account the high priests and principal men of the city came then frequently to me together, in order to know my opinion about the accurate understanding of points of the law” (Life 1.9). A major role in a bar/bat mitzvah ceremony (or even in a Protestant Christian denomination confirming a youth as a church member) is so that young people arrive at the point of being aware of their responsibilities before God, and that they have an understanding of the Scriptures. The practice of preparing a youth for bar/bat mitzvah is to instill in the boy or girl the understanding that he or she is accountable for living up to the Torah’s standards. 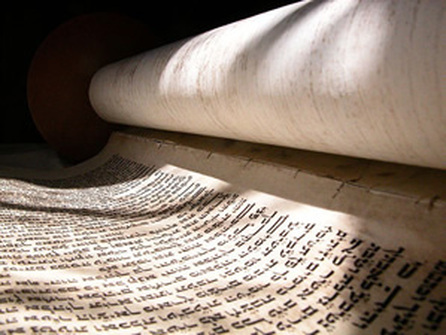 The Torah up to this point serves as the person’s tutor or schoolmaster, and hopefully when the youth gets up to the bema to read from the Torah scroll, he or she has an understanding that this is very serious in the eyes of the God of Israel. In a Messianic context, we surely hope that a young person undergoing bar/bat mitzvah has truly come to that moment where he or she realizes that the Torah is not enough, and that it is the Lord Yeshua to which its instructions inevitably point. In the view of Galatians 3:24, God’s Law as pedagogue is to rigorously instill within us a sense of His holiness and righteousness, but our innate inability to ultimately keep its commandments perfectly should lead us to faith in the Messiah. When salvation from our sin comes, the key principles of God’s Torah are to certainly remain instilled with us. As we then grow and mature in such salvation, with the New Covenant promise of the Torah being supernaturally transcribed on our hearts now in play (Jeremiah 31:31-34; Ezekiel 36:25-27), we can fufill the Torah in emulation of Messiah Yeshua (Matthew 5:17-19), surely demonstrating it in action via good works of mercy and kindness toward others. What does Paul mean in Galatians 3:25 when he says “we are no longer under a tutor (paidagōgos)”? Much of how we approach the meaning of hupo paidagōgon (ὑπὸ παιδαγωγόν) or “under a tutor” is determined by what we conclude a paidagōgos actually is. The thought of many is that this means no longer being “under the supervision of the law” (NIV), and that God’s people should not be concerned about keeping God’s Law. Is this a valid approach to Galatians 3:25? In the previous remarks on Galatians 3:24, we have described how the ancient classical figure of the paidagōgos is like a strict disciplinarian. While having an educational role for those on the road to saving faith, the paidagōgos is still going to condemn a person more often than not. Paul’s words “But now that faith has come, we are no longer under a pedagogue” (Galatians 3:25, my translation), should be understood from the perspective that after a person has arrived at salvation in the Messiah Yeshua, the Torah’s function as a paidagōgos is over. Bruce ably comments, “with the coming of faith believers have come of age and no longer require to be under the control of a slave-attendant: ὑπὸ παιδαγωγόν has the same sense as ὑπὸ νόμον in v. 23.” A fulfillment of the Torah in acts of love, focused around the fruit of the Spirit, is clearly to begin (Galatians 5:14-6:2). For the redeemed, the function of God’s Torah only condemning people with guilt because of their disobedience has ended. In what context are born again Believers no longer “under a tutor”? If we are in the faith and have reached a point of spiritual maturity where we know what the Torah tells us is right and wrong, and we have repented of our sins and been spiritually regenerated, we have no need for the Torah to serve as a paidagōgos. We have no need for this kind of rigorous training, because if we have experienced the new birth we naturally want to obey our Heavenly Father through the empowerment of the Holy Spirit. The Holy Spirit will convict us and remind us as we study the Scriptures, as we pray, and as we sincerely seek the Lord about what we should and should not be doing. For those truly saved and earnestly seeking the Lord, the Torah no longer serves as a schoolmaster, because we should be naturally following God’s commandments as an outward part of our walk of faith. The Jewish philosopher Philo also expressed how “there is an undying law set up and established in the nature of the universe…that instruction is a salutary and saving thing, but that ignorance is the cause of disease and destruction” (On Drunkenness 141). The goal of any kind of instruction given by God is to be salvation, especially as human beings understand their limitations in light of His eternal holiness and perfection. And while it is most imperative for our mortal inability to fully obey the Lord to drive us to the cross of Yeshua in confession and repentance, instruction in sanctification is to truly follow being saved as the Holy Spirit takes up residence within us and transforms us to be more like Him. Some of this involves further discipline (1 Corinthians 11:32; Hebrews 12:6; cf. Proverbs 3:12) when we err, but it also involves opportunities for God’s people to simply demonstrate His good character to others (1 Thessalonians 2:10). Indeed, as redeemed Believers are no longer “under a tutor,” we should nonetheless be most grateful that the Torah-function as pedagogue has led us to the Divine Savior, Yeshua the Messiah. Following our salvation, we should demonstrate the appropriate respect, honor, and obedience that is due Moses’ Teaching. Unless otherwise noted, Scripture quotations are from the New American Standard, Updated Edition (NASU), ©1995, published by The Lockman Foundation. Scot McKnight, NIV Application Commentary: Galatians (Grand Rapids: Zondervan, 1995), 183. Including, but not limited to: Bruce, Galatians, 183; Richard N. Longenecker, Word Biblical Commentary: Galatians, Vol. 41 (Nashville: Nelson Reference & Electronic, 1990), pp 148-149; Hansen, pp 107-109; Witherington, Galatians, pp 268-269; Hays, in NIB, 11:269-270. Grk. ek pisteōs Iēsou Christou (ἐκ πίστεως Ἰησοῦ Χριστοῦ). Grk. Pro tou de elthein tēn pistin (); “before the coming of the faith” (YLT), something akin to the “arrival” of Messiah faith in someone’s life. I have chosen to render the verb mellō (me,llw) here along the lines of “to be inevitable, be destined, inevitable,” which for Galatians 3:23 is specifically noted for “w. aor. inf. avpokalufqh/nai that is destined (acc. to God’s will) to be revealed” (BDAG, 628). The term “pedagogue” does appear as a borrowed term in some Jewish literature (Ibid., pp 146-148). Plato: The Laws, trans. Trevor J. Saunders (London: Penguin Books, 1970), 253. G. Bertram, “education, instruction,” in TDNT, 757. Grk. estin hē tou nomou paideia (evsti.n h` tou/ no,mou paidei,a). John R.W. Stott, The Message of Galatians (Downers Grove, IL: InterVarsity, 1986), 98. Cf. Ariel and D’vorah Berkowitz, Torah Rediscovered (Lakewood, CO: First Fruits of Zion, 1996), pp 23-24. The Works of Josephus: Complete and Unabridged, 1. The Works of Philo: Complete and Unabridged, 219; cf. Noah’s Work As a Planter 144. For a further discussion of these and the relevant surrounding passages, consult the author’s article “The Message of Galatians” and his commentary Galatians for the Practical Messianic. Copyright © 2015 Messianic Publications, All Rights Reserved. With the Messianic/Hebrew Roots movements (or whatever you prefer to call them) rising in prominence, more and more people are beginning to see Torah through a new lens. Now that is not to say that we all see it through the same lens, but with resources abounding today in the form of concordances, lexicons and the mighty Internet, Truth is being spread rather rapidly. People are leaving the Christian “Church” in droves, recognizing that it is an apostate body that has rejected the Commands of YHWH Elohim, and instead chosen the doctrines, philosophies, and commands of men. Yet for the many that are now studying Hebrew and/or keeping Torah, the question often comes up: did Torah exist prior to being given at Mount Sinai? Christian scholars (and even some Jewish ones) are quick to say, ‘no,’ but is there actual evidence within the Torah itself that could refute this? Let’s examine some texts from the Torah to see if maybe, just maybe, Torah was a little more expansive pre-Sinai than we’ve been taught. A topic that many people avoid, sacrifices are a major part of Scripture. A theme from Genesis through Revelation, we all know at least the basics about sacrifices. Something (or someone) has to die to pay for sin. Sin brings death, according to Romans 5:12, and the wages of sin is death (Rom. 6:23, Ezek. 18:4-20). Yeshua died to be the final sin sacrifice and to pay the penalty for all sin for all time. That’s usually where the buck stops for most people on the issue. They think that prior to Yeshua, mankind offered continual sacrifices for continual sins, but then Yeshua died to end it. But what if I made the claim that prior to Mount Sinai, there was no such thing as a “sin sacrifice” being offered? Sure, you can bring up Abel, and Noah, and Abraham, and Jacob, and so on. But what did they offer? It needs to be understood that different sacrifices are offered for different reasons. I will be writing an article to cover the different kinds of offerings more in depth at a later date, but for now here are the basics. There are (just to name a few) burnt offerings, sin offerings, guilt offerings, freewill offerings, and meal offerings (these are not all, just the ones I want to bring up). Each of these are different, and each one is offered for a very specific purpose. Abel offered a minchah (Gen. 4:4), or tribute (gift) offering. This was not done to atone for sin, but rather out of freewill and thanks. Noah built an altar and offered olah (Gen. 8:20), or burnt offerings. These are also not to atone for sin, but rather are meant as an “ascending offering” which was intended to bring the offerer “up” and make him closer to YHWH. Abraham was going to offer up Isaac his son as an olah (burnt offering) as well, according to the story in Gen. 22. In Genesis 31:54, we are told that Jacob “offered a sacrifice” yet this was a covenant between two men, Jacob and Laban. Note that the Hebrew word used for “offered” and “sacrifice” are both zebach, which simply means a sacrifice OR a slaughtering, such as for food. This was a symbol between two men, and they ate the meat of the slaughtering afterwards. This was still not an atoning, sin sacrifice. In fact, if you look in a simple concordance, you’ll find that the first mention of an actual sacrifice FOR sin is not until after Sinai. So what does this have to do with proving Torah existed PRIOR to Sinai? Just that, in all the examples listed above, how did these men know how to offer a sacrifice? How did they know how to offer a burnt offering, or a gift offering? They had to be told how, right? We know from the incident of the golden calf and Aaron’s sons Nadab and Abihu that you can’t just go and make an offering to YHWH however you see fit. It MUST be done only in the way that He prescribes. So at the very least, the Torah instructions for burnt offerings and gift offerings existed prior to Sinai, right? I think there is enough proof for that. It is my personal belief that YHWH Himself taught Adam how to properly sacrifice as the first thing Adam needed to do. Adam was now covered in sin (and shame) and could no longer come before YHWH as he had previously been able to do. Genesis 3:21 tells us that “YHWH made coats of skins for Adam and for his wife, and clothed them.” What skin was this made from? Well, we really don’t know. But I believe it is safe to say that YHWH is not wasteful. Why take skin (the word in Hebrew, ore, literally means “hide”) and waste the animal it came from? No, I believe YHWH clothed them with the animal’s skins, and then showed Adam how to properly sacrifice, not only showing him how to sacrifice an animal in a proper way, but also showing him that death is required to cover sin. In this case, Adam and Eve’s nakedness was a sin, and they needed to be physically covered. But think about it for a moment: why did they need to be covered right then and there? After all, they were husband and wife, and seeing one another’s nakedness is completely fine. There was no one else around yet, because they had not been born. Eve was the mother of all living (cf. Gen. 3:20), so no one else was there yet to be able to see them. Except, of course, for YHWH and perhaps maybe the animals. But remember, the physical teaches the spiritual. Death of the sacrificed animal was required to cover their physical nakedness (shame). In the spiritual sense, death of a sacrifice is also required to cover the spiritual aspect of sin. The important lesson being taught here is that death is required to cover sin. This points directly to Yeshua as our perfect atoning sacrifice. There are a number of statements made regarding Judah that, when studied in context, give further credence to the idea that the Torah existed prior to being given at Sinai. By Judah, I mean the person who is the patriarch of the Jewish people. First we’ll look at one easily proven, and then we’ll examine one that is implied, but in all fairness may or may not be the case. Now a section of Torah Law (instruction) from Deuteronomy. Judah obviously knew that giving Tamar to Onan was not only “proper” but it was Onan’s DUTY. The next section may seem like a bit of a stretch, but please bear with me. It is related to this story. Now you may or may not put much weight in classical Jewish writings, teachings, and laws. I do not believe that the Talmud was Divinely inspired, yet I do believe there is some truth to it. And I am thankful that at the very least, the Jews have kept pretty good records of how they have done things through the ages. Now that’s not to say it’s all correct, but many of their writings CAN help to fill in a few of the gaps. I also feel this way about a couple of the Apocryphal books, Jasher and Maccabees. Now this is not the time or place to try and build up a defense for these writings, but suffice it to say I believe Maccabees to be an accurate HISTORY book, and the same goes for Jasher. As far as I can tell, there is nothing in either book that contradicts the Torah (or any of the rest of Scripture). I digress. Jewish commentary and the book of Jasher both refer to Tamar as the daughter of Shem. Jasher 45:23 – “And in those days Judah went to the house of Shem and took Tamar the daughter of Elam, the son of Shem, for a wife for his first born Er.” Now this could mean that Elam was the son of Shem or, more likely, that Elam was “of the house of Shem” and a few generations later. Either way, it is what it is. Now Shem was the son of Noah, making him the great-great-great (to a few generations)-grandfather of Judah. So it may seem like Judah giving his great-great-great (whatever)-cousin to his son as wife is…absurd. But remember, Shem lived to be 600 years old, and had many children throughout that time. It is quite possible that Elam was born to Shem late in life, and likewise Tamar born late to Elam or, as I said, that Elam was merely “of the house” of Shem. Remember, people said Yeshua was the “son of David” yet we know David lived MANY generations before Yeshua was born. At any rate, it is still very possible and plausible either way. These same accounts of Jewish Midrash and the book of Jasher (in 16:11) also state that Shem WAS Melchizadek, the king of Salem [Ancient Jerusalem] and priest of El Elyon (El Most High). Now, this is all to set up the next verse we’re going to read in Genesis. But before reading, here’s a quick summary of what happened following the verses we read above. Judah promised to give his youngest son, Shelah, to Tamar as a husband when Shelah grew up. However, Tamar (probably supposing that Judah was never actually going to give Shelah to her as husband) decided to dress like a prostitute with special garments and a veil over her face to seduce Judah as he walked through the city. Judah’s wife had just died, so it says he sought “comfort” on account of that. Anyway, Judah goes in and lies with Tamar, but does not pay her. She asks for his signet, staff and cords (we’ll come back to this one) as a pledge that he will send payment after returning home. Judah delivers these items and goes home. He then sends her the payment, but she is nowhere to be found, and no one knew that it was her. That brings us up to the verse 24 here. Well that seems rather brutal, doesn’t it? Now remember, Judah did not know that it was Tamar he had slept with. Nevertheless, what is the judgment that Judah pronounces? Does he pronounce that she is to be stoned? Nope. Shot through with an arrow? No. He pronounces that she should be burned. Burning is a very specific punishment given in Torah, and is not given for just any capital offense. But who IS supposed to be burned with fire as a punishment? Jewish Midrash along with the book of Jasher both claim that Tamar was the daughter (or granddaughter, or descendant) of Shem. It also says that Shem was the priest known as Melchizadek. So could it be that Tamar was to be burned with fire, because Judah KNEW this commandment to burn the daughter of a priest who plays the prostitute? I believe this is the case. But like I said, Scripture itself never explicitly states that 1) Shem was Melchizadek and 2) Tamar was of the line of Shem. You can choose for yourself. Next we have the rest of the story as I mentioned above about the staff, signet and cords that Judah gave to Tamar as a pledge. The staff was common for people of that day. It helped with walking/hiking, which they did a lot of, but more importantly it was a necessary tool for shepherding. Genesis 38 states that Judah had a flock of sheep, and in one instance (verse 13) it is said that Judah was going up to shear his sheep. So that explains the staff. What about the signet? Most translators agree this was a signet ring. It was a mark of authority, and it showed Judah’s prominence in the city. Notice that when the men found Tamar to be pregnant by prostitution, they didn’t convene a court; they came and told Judah, and HE got to decide what to do. This shows his place of power. But the third item mentioned is rather peculiar. “Cords” is how most versions of Scripture translate this, though some mistakenly read “bracelets.” The Hebrew word in question is pathil, which is a twisted cord of threads. This specific word is used only a handful of times, and the majority of those times it is used in reference to the twisted blue thread of the priestly garments (cf. Ex. 28:28; 28:37; 39:3; 39:31). However, interestingly enough, it is ALSO used in the following verse in Numbers. The word used to describe the blue cord required for the tzitzit is pathil, the same type of “cord” that Judah had. Interesting how there appears to be evidence of tzitziyot prior to this command given post-Exodus. Remember, all of these instances are JUST from Genesis 38 and the story of Judah and Tamar. Out of all the proofs of pre-Sinai Torah, the one that is probably the most hotly debated is that of the commands regarding the Feast days. By Feast days, I mean those listed in Leviticus 23. Surely Passover was not kept prior to the exodus from Egypt, right? While it is never explicitly stated so, there are a number of instances where we can infer such. Again, I will say, it is never EXPLICITLY stated; however, it is – in my mind – clearly implied. So Exodus says that the Israelites lived in Egypt for 430 years, right? Yet this seems contradictory to what YHWH Himself told Abraham in Genesis. So the time that Abraham, from being given the promise, until the Exodus, was 430 years. Then what spanned the 400 years that YHWH spoke of? Consider this. Genesis 12:4 is when Abram was first called, being 75 years old. 25 years later, when he was 100 years old (according to Gen. 21:5) Isaac was born. What could have happened 5 years later that started the 400 years of “affliction”? Well, we’re not told the specific time, but we do know that “after Isaac was weaned” Abraham held a feast. What is notable on this day is that Ishmael, Abraham’s son by his [Egyptian] handmaiden, Hagar, mocked. Now we are not clearly told WHO Ishmael mocked, but it is a fair assumption he mocked either Abraham or, more likely, Isaac. This could be when Isaac was 5 years old, a common time to be weaned in the Ancient Near East. Thus with being mocked (afflicted), the 400 years started, though the 430 years had started 30 years prior, when the promise was first made. So you’re probably wondering: what was the point of all this? Simply to say, that the day when the Israelites came out of Egypt was the anniversary of when YHWH said “your seed will live as foreigners in a land that is not theirs.” That is why Exodus 12 says, “430 years, even THE SAME DAY.” What day did the Israelites come out? On the First Day of Unleavened Bread. What did Abraham do on the anniversary of that day, when YHWH told him they would be “afflicted for four hundred years”? He was making a blood covenant, just like Passover was a blood covenant. If the covenant being made (taking place by the slaughtering of animals in the afternoon) was on Passover Day, then on the First Day of Unleavened Bread is when YHWH spoke the words to Abraham, since it was after sunset (thus beginning the next Hebraic day). So this is how we get 430 years “to the SAME DAY” as mentioned in Exodus 12. Thus, we see the PATTERN of Passover. We see this again in Abraham’s life. Genesis 18 gives us some very interesting insights into Passover and Unleavened Bread yet again. Recount, if you will, the Last Supper of Yeshua Messiah. What did He do? Prior to Passover taking place (when He was killed [See article Passover & The Last Supper: Are they the Same? for more on this]) Yeshua washed the feet of His disciples, as a way of serving them. Then, the following day was Passover (when Yeshua was killed) and after that was the First Day of Unleavened Bread. Now let’s look at Genesis 18. So Abraham helped them wash their feet, and then got them bread, along with a meal. A couple of phrases need to be corrected here. The first is “the season comes round.” This phrase in Hebrew is kaet chai’ya, which LITERALLY means “this time of life.” So when is the “time of life”? Why, the Spring of course! Spring has been known for ages upon ages by virtually every major culture as the “time of life.” It is the time the flowers blossom, and leaves return to the trees. So we can safely say that YHWH said He would return at “Springtime.” What month does Passover take place in? The 1st Hebraic month, called “Aviv.” Aviv means “Green” or “fresh.” It is, again, the time of Spring, the “time of life”! The second phrase we need to define is “at the set time.” This is all one word in Hebrew, which is the word moed. The plural of this word, moedim, is the word YHWH uses all throughout Leviticus 23 for “appointed times.” The word moed as it is used here is singular, meaning “appointed time.” So YHWH told Abraham that He would return “in the spring” at “the appointed time.” Passover is the first “appointed time” to take place in the Spring! But wait, we’re not done yet. Let’s have a glance at Genesis 19. Yet again, we find that the angels are offered to “wash their feet” prior to eating what? Unleavened Bread! Notice last time, Abraham gave them regular bread. Now we have a time AFTER that incident, and they are being given unleavened bread. Coincidence? I don’t think Scripture contains any coincidences. So to recap, we have Abraham sharing a meal with the angels, offering them to wash their feet, and having bread with them. Next, they head over to Lot’s house, where they have Unleavened bread. Again, in the Gospels, we are told that Yeshua had a meal and washed the feet of the disciples, then was slain the next day. Following at the next evening started the First Day of Unleavened Bread. So meal, foot-washing, unleavened bread. How interesting. Lastly, we’ll jump forward to the time the Torah was given from Mount Sinai, and look at another type and shadow that Scripture describes for us in the very DAY that the Torah was given. First, however, a little information. Did you know that the Holy Spirit (Ruach Ha’Qodesh) filled people BEFORE the day of Pentecost in the book of Acts? Indeed, it even filled people BEFORE Yeshua was even born on this earth! Need proof? Here are a few verses (in no particular order) showing people who were “filled with the Holy Spirit” prior to Pentecost (Shavuot) in Acts. So how about that, huh? People could be filled with the Spirit BEFORE Pentecost in Acts. So then what changed in Acts? Well, the Spirit was already available, but it was only given to a select few people. Indeed, we find there are many more people in Acts that we are told were filled with the Spirit than there are recorded in the Tanakh [Old Testament]. Even though some WERE, the Spirit was, for lack of a better way to describe it, not fully accessible to all people. Just to hammer it into the ground and make sure my point is clear, the Spirit WAS available to people back then, but only to a select few, and never to a whole multitude at once. Keep this in mind as we go back in time to the giving of the Torah. Exodus 19 tells us that “in the third month” the camp of Israel arrived at the base of Mount Sinai. After three days of cleansing and setting themselves apart, YHWH spoke from the Mountain. This day was Shavuot, otherwise known as the Feast of Weeks, or Pentecost. The Torah was handed down through Moses on this day. We find a very interesting parallel between Shavuot here in Exodus and the one mentioned in Acts. This is why I said to keep it in mind. You see, the Spirit was available prior to Shavuot in Acts, but only to a few. Torah was available prior to Shavuot in Exodus, but only to a few. Tradition (and the pattern in scripture) shows us that proper teaching and instruction (lit. “Torah”) was passed down through Abraham’s lineage. Abraham to Isaac to Jacob and so on. Indeed, even Jewish tradition teaches that Shem (the son of Noah) was the righteous one, who taught the Torah to his descendants including Abraham. Thus, we find that Torah was being taught, but only to a few. Prior to Acts, the Spirit was poured out on people, but only to a few. After Shavuot at Sinai, Torah was given to a vast multitude all at once! (Remember: Exodus 12 tells us that the Israelite men totaled 600,000, not including women and children). In Acts, the Spirit was given to a vast multitude all at once. After the giving of the Torah, we find the golden calf incident of Exodus 32. Exodus 32:25-29 tells us that the tribe of Levi (Moses’ own relatives) stood with him, and they slew “about 3,000 men” that day. So after the giving of the Torah, the people rebelled, and 3,000 were met with death. After the giving of the Spirit, we find the multitudes being cut to the heart by what Peter had said. In Acts 2:41, we are told that “about 3,000 souls were added to them that day.” So after the giving of the Spirit, the people were “cut to the heart” (convicted) and 3,000 were met with new life. Isn’t the parallel here simply fascinating? I believe this shadow picture helps to solidify the notion that Torah DID exist prior to Sinai; it simply was not given to the vast multitudes yet. Just like how the Spirit ALSO existed prior to Acts 2; it simply was not given to the vast multitudes yet. We find there are still a couple other instances of Torah mentioned in Genesis that seem to really stick out. One involves Noah, and another takes us to Abraham again. Here we find that Noah was told to take seven pairs of every “clean” animal. However, this is HUNDREDS of years BEFORE the laws of clean and unclean were given as written in Leviticus 11. Do we have any evidence here in the first few chapters of Genesis that YHWH ever told Noah (or anyone before him) the difference between clean and unclean? No. Yet we know that Noah DID know the difference; how else would he have been able to take the right animals? Genesis 26 tells of YHWH speaking with Isaac. He reminds Isaac of what Abraham had done, and also that He had made a covenant with Abraham. Let’s look at these words. YHWH tells Isaac that Abraham kept His voice (what He spoke to Abraham), His requirements (lit. charge), His commandments, His statutes and His “laws.” This word “laws” is torot, the plural of Torah. So we are told that Abraham kept the torot BEFORE the Torah was given! How is that possible? Because Torah was taught lineally. Passed from generation to generation, father to son, and so on. When the Israelites went into Egypt, they assimilated (their biggest flaw throughout the ages has ALWAYS been assimilation into different cultures and nations). We find proof of this in Ezekiel 20:8, which tells us that they did not forsake the idols of Egypt while living there. So the Israelites had become assimilated. They had mixed in with the pagan Egyptians. This is why they were so quick to make a golden calf as their “fallback” god. After living so long in a pagan-steeped culture, they had forgotten the instructions of their fathers. Indeed, do we find Jacob and his 12 sons worshipping and bowing to idols? Of course not! Yet, within just a couple generations as they multiplied greatly in the land of Egypt, they then began to forget El Shaddai who had made the covenant with their fathers Jacob, Isaac, and Abraham. That is why when YHWH brought them out, He made a covenant with them, and they ALL agreed to it. The people agreed to it. This is basically like clicking “I accept” on the page of a website that brings up the “Terms and Conditions.” YHWH was offering to bless, prosper, and protect them. However, the offer was contingent upon the Israelites OBEYING Him. That was their end of the bargain. We find, as time went on (from Judges through the rest of Scripture) that they did not, in fact, obey Him. Rather, they continually disobeyed and walked in their own ways, doing what was right in their own eyes. It should be enough that we know YHWH does not change. He said so Himself in Malachi 3:6. He does not change, and His Ways do not change. What was wrong 4,000 years ago is STILL wrong. What was unclean 4,000 years ago is STILL unclean. Whatever YHWH declared sin, will it ever be anything but sin? Certainly not! On the other hand, whatever YHWH said was right, will it ever be wrong? Never. There have been many laws in place from the point of creation onward that no one would argue with. The law of gravity, the laws governing the sun and moon, etc. We do not think of these in the same light, but they are called “laws” even in the secular world, and we know that YHWH created them. I have listed just a handful of examples I have found in my studies of pre-Sinaitic Torah evidence.